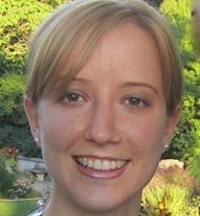 Kate Mossman is a research coordinator at Women’s College Hospital, Toronto. She is also a postdoctoral fellow in the Department of Strategy at the Rotman School of Management, University of Toronto. She completed her Ph.D. in anthropology at McMaster University, Canada, where she studied partnerships formed between local and international non-governmental organizations in Senegal and their aspirations for social change. Her interests include health innovation, organizational learning and strategy, international partnerships, human-centred design and knowledge translation. She is a manager of the Toronto Health Organization Performance Evaluation (T-HOPE) team at the University of Toronto. T-HOPE is a multidisciplinary research team composed of medical, management and social science experts that aims to connect theory to practice in the field of global health innovation and performance. Every year, almost 300,000 mothers and 7.6 million children under the age of five die from largely preventable causes - the vast majority at the BoP. The Toronto Health Organization Performance Evaluation, in collaboration with CHMI, researched innovative solutions to maternal and child health care, presenting them at the recent Private Sector in Health symposium in Sydney, Australia.